On 22 July 2011, in the peaceful country of Norway, 32-year-old Anders Behring Breivik, posted online a 1500-page manifesto that outlined his hatred for Muslims, Liberals, Multiculturalists and Feminists. Evoking the spirit of his revered Knights Templar, he then went on a campaign to promote his message. In a violent rampage that demonstrated his desire for Nordic purification, he exploded a car bomb at government buildings in Oslo, killing eight people. Then, armed with assault weapons, he went to the island of Utøya, to a Labour Party youth camp, and massacred another 69 people, mostly teenagers. 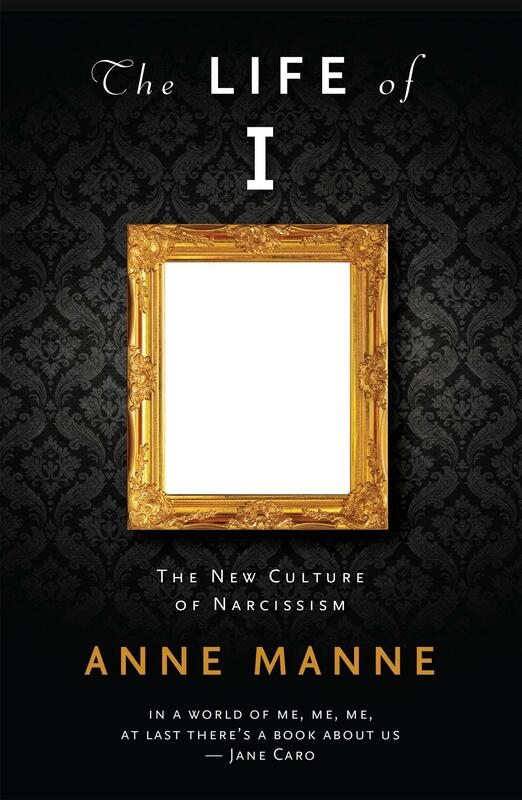 In her new book, The Life of I, Australian journalist and social philosopher Anne Manne exposes the rising culture of narcissism in Western culture and begins with this massacre. Pathological narcissism is a disorder predominantly found in men: in particular, their ability to love is greatly restricted. While narcissism might be a pathological disorder, its seed is in all of us. The Bible calls it ‘sin.’ From the earliest chapters of Genesis, man and woman declare that they want to be God. Adam and Eve believed that, despite God’s clear instructions to the contrary, they were entitled to eat from the tree of the knowledge of good and evil. Their son Cain, in a destructive rage, took the life of his brother Abel. And so the pattern of human self-obsession was set. By the time of Noah it had become an epidemic, and God responded in judgement. What was evident in Noah’s day, is clearly still evident all around us today. Yet deep in our psyche we know self-obsession is wrong. In the opening chapter of Mere Christianity, C.S. Lewis calls our innate sense of morality ‘The Law of Nature.’ Lewis also points out, however, that none of us can keep the natural law. The dissonance between these two truths form the foundation for humanity’s need for redemption. In Colossians 3:18-4:1, the Apostle Paul offers a Christlike vision for human relationships. Paul has already told us earlier in 3:1-4 that we can keep our faith on track by keeping our hearts and minds focused on God. We have a new life as a Christian – a new life in the pattern of Jesus Christ. We need to remove our ‘old clothes’ and put on the ‘new clothes’ (3:8-14). Here, then, is a practical application of what that looked like in the extended first-century Christian household which included family members and slaves. 23. Whatever you do, work at it with all your heart, as working for the Lord, not for human masters, 24. since you know that you will receive an inheritance from the Lord as a reward. It is the Lord Christ you are serving. This sets up the Gospel logic for a new way of relating. As we live in our ‘new clothes’ as children of God, we must remember that we only have one master: Jesus Christ. This is going to be important because it’s going to help us when we are in hard situations at home and at work. It will also establish a pattern for human relating that is characterised by justice. The reality in most human relating, whether it be at home or at work, is that there will always be power differences. But if we constantly remind ourselves that we ultimately serve Christ, then both the more powerful and the less ​powerful will relate in a sacrificial and humble way. We are set free from having to please people because ultimately we are geared towards pleasing God. We are set free to work wholeheartedly instead of begrudgingly (because of who we serve). We are set free from worrying about our reward because we have the ultimate reward of inheritance from God. Paul is more concerned about the Colossian church’s relationship with God than their relationship with each other: he wants that to be set right first. His concern is also for their present situation rather than changing the future. Thus he applies his principle to slavery (rather than trying to abolish slavery). This message, if lived out, would bring the Colossians happiness no matter what context they found themselves in. Thus, verse 18 which says, “Wives, submit yourselves to your husbands, as is fitting in the Lord” should not seem so controversial to the postmodern mind. If you weren’t thinking clearly, you might come to believe that this passage is not about freedom, but it is about defending patriarchy and slavery. In truth, it offers freedom and hope for people living with both of those social problems. Paul advises husbands to love their wives and not to be harsh with them (3:19); children should obey their parents (3:20); fathers should not discourage their children (3:21). The fact that he doesn’t mention ‘mothers’ is simply because of his cultural context — in this society, fathers ruled, and they needed to be told how to do that in a Christian way. You might say: “shouldn’t Paul be setting up a new post-patriarchal framework for the family?” No, that’s not his purpose. His purpose is to work at a higher level than that and offer discipleship principles that can be applied — in any cultural context. The big Kingdom of God principle Paul is presenting is: all human relationships have power differences – so no matter where you are on that scale of power – you should treat the people around you as Jesus would, remembering that you are ultimately serving Jesus. Everyone in an Ancient Near-Eastern household understood their place in the heirarchy: from Fathers down to children, and slaves down to the children of slaves. Nobody was challenging this social system. So Paul can say “wives submit to your husbands in a Godly way.” To the women in Colossae, the controversial part of that direction is “in a godly way” the word “submit” was a given. The rule of the husband over the extended household was expected. What was unexpecteded, however, was Paul’s challenge for them to love their wives and not to be harsh with them. In Ephesians 5, Paul goes further by pointing to Jesus as the model for husbands: they must be willing to sacrifice everything for their wife. But let’s think a bit more about our own context. The power dynamic between men and women is complex. It’s not always clear in a twenty-first century western household who is always actually more powerful and less powerful. In my relationship with my wife, I am physically more powerful, that is clear. Also, at the moment I bring more money to the family, but this might not always be the case. We have different intellectual strengths. For some of the ‘intelligences’, she is stronger, for others, I am stronger. In the sphere of parenting, she has more power. These power structures are always shifting in our marriage. The point is, whether I have more power in a given context, or whether she has more power in a given context, we both need to remember that we are free because it is Christ who we ultimately serve. That there is a complex power dynamic at play explains why both men and women find themselves being abused in unhealthy marriage relationships. While it is men who have the worse reputation for physical abuse, women also can be selfish and abusive in their relating; manipulating sexually and emotionally. We are released from feeling like we need to constantly make each other happy by pleasing each other – which sets up an unhealthy dynamic – because both of us ultimately live to please God. I please my wife because my love for God and God’s love for me makes me want to please her. We are both free to serve each other wholeheartedly instead of begrudgingly, because ultimately we are serving Jesus. So, for example, I hate changing the sheets on the bed. But I should do that wholeheartedly, rather than begrudgingly, because my act of changing the sheets, is actually serving God. My wife and I both hate cleaning the kitchen. But we need to learn that our act of service is to bring honour to Jesus. What if you are trying to live this gospel principle out but your partner, or other members of the household are not? Surely this is unfair? While I sympathise with your sense of domestic injustice, God calls to apply his gospel vision no matter what your context. You don’t want to give away your role as a disciple to anybody else. If you are a martyr at home (and there are lots of us around!) confess this to God. Stop saying to yourself: “I am the only one who does any work around here. If I don’t do it nobody will.” Rather, see yourself as quietly serving Jesus. Stop worrying about your hard work being noticed by your family: “Did you see that I mopped the floor?” Stop moaning and groaning, and allow the Holy Spirit to soften your heart as you remember that you are serving Jesus. You have been set free. You will be rewarded. You will receive an inheritance of eternal life because of what Jesus has done for you. Sure, you might have a case for feeling annoyed. It is true that many of us don’t do our fair share in the household duties. I have been reprimanded several times throughout my marriage for my laziness with the chores. There are constant surveys demonstrating that women still do a lot more household chores than men. Paul is not providing excuses for selfish men — he is, in fact, doing the exact opposite. Moreover, I must emphasise that Paul’s teaching to the family does not endorse dysfunctional or abusive relating. If you are in a bad situation at home, you need to tell ​someone and get help. If you are being abused, physically, verbally, or psychologically, it is important that you ask for intervention. Children who are being abused by their parents need to be rescued from that situation. Slaves, obey your earthly masters in everything; and do it, not only when their eye is on you and to curry their favour, but with sincerity of heart and reverence for the Lord. Because of a misunderstanding of verses like these, some have confused the Bible as being pro-slavery. Recently on the ABC television program Q&A, one panelist defended the place of Christian education in the school curriculum because, in his opinion, Christianity has been a positive force in Western culture: “it brought about the abolition of slavery.” Just after he made his point, a tweet appeared on the screen: “Christianity invented slavery, just look at the Old Testament.” Which was wrong for several reasons that we don’t need to prove here. The important point is that Paul lived in a context where slavery was a reality. He was bringing the Kingdom of God to that context and reinventing it, providing hope for the slaves and compassion in the masters. This new freedom given to both the master and the slave set culture on a trajectory that would one day make slavery illegal in the Christian world. The application today is straightforward. If you exercise power over someone at work – as a boss or a manager – create a context of justice because you know that you serve your master Jesus, and that is what he wants. Pay your workers equitably. Let them have their holidays. Honour the contractual arrangements with women when they return from maternity leave. Don’t speak harsh words to your staff or ask them to do anything illegal, immoral or unjust. Bring the Kingdom of God to your workplace. For employees, you have three new freedoms at work. Firstly, you are set free from having to please the people in your office because you too ultimately report to Jesus and only have to please him. So don’t get caught up in office politics. Treat your boss or your manager with respect. This is what it means to be ‘heavenly minded’ and to ‘put on your new clothes’ as a disciple. Secondly, you are set free to work wholeheartedly. Instead of going to work with a frown on your face, know that you ultimately serve Jesus, so be positive. If you hate your job, you can always look for another. Thank God that you are not a slave. But even if you were, Jesus still calls you to work wholeheartedly for him. Thirdly, you are set free from worrying about your pay or status in the workplace. Whatever your income or position is in the organisation, you have the ultimate reward of your inheritance from God. You can still work hard, aim for promotions, ask for pay rises, but don’t put your self-worth or identity in these things. Know this freedom that you have. Yes, there is a culture of narcissism going on in our world. But a narcissistic culture only brings destruction, injustice, and unhappiness. God is calling us away from the self-obsession of Adam and Eve to his Kingdom, where the pattern for life is Jesus and his self giving death on the cross. We live and work for him, and in doing so, we end up living and working in a just and positive way for others. This will transform our families, transform our work, and give us freedom. In contrast to my last post, which encouraged a spirituality of adventure, now I want us to consider finding the extraordinary God in the ordinariness of everyday life. What if the whole idea of “ordinary” is a myth? And what if a life of great importance isn’t found by escaping the details but embracing them? 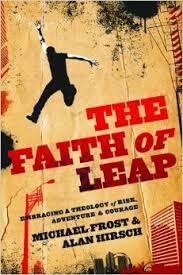 What if God actually doesn’t want you to escape from the ordinary, but to find significance and meaning inside of it? Kelly wants us to learn to find the beauty of God and his gospel in the ordinary. Learning to do this is important for any Christian who wants to experience spiritual nourishment. Sure, you can walk the Camino trail in Spain, spend time with the Taize community in France, or go to the Hillsong conference in Sydney, but what if you could experience transcendence while cleaning your bedroom? In Colossians 3:23 Paul tells us: “Whatever you do, work at it with all your heart, as working for the Lord, not for human masters.” He wants the Church to be a people who do not have their hearts and minds focused on earthly things, but on things above. This requires a kind of mindfulness. Merri Creek Anglican member Ed Cavanough recently gave a great talk about being heavenly mindful. He urged us (along with the Apostle Paul) to embrace our new lives as people who have been “raised with Christ” (Colossians 3:1) by setting our hearts and minds on “things above” (Colossians 3:2). I loved this idea of Christianising mindfulness, so we are not just being mindful in the earthly here-and-now, but so we become mindful of God in the here-and-now. Mindfulness has become an important practice for helping some people overcome depression and anxiety. When they struggle to move on from the difficulties they have experienced in the past, depression can set in. Mindfulness can certainly help people move their focus away from the past and onto the present. Mindfulness is not necessarily Biblical — it is, in fact, Buddhist in origin — yet Ed did not reject mindfulness as a concept but used it to build a bridge to Paul’s idea of a ‘Godward posture’ or, as the writer of the Hebrews says, to: “keep our eyes fixed on Jesus” (Hebrews 12:2). In the last couple of blog posts I have written about the problem of being religious but not spiritual (RBNS). Heavenly mindfulness is another great way of becoming spiritually nourished for people who only experience dry religion. How, then, can we become heavenly mindful? What are some discipleship practices that can help us find God and the beauty of the gospel in the ordinary? Set reminders on your phone to pray (there is a good app calledCommon Prayer for Androids and iPhones that can send reminders). The list I have given is not meant to be prescriptive: hopefully you will think of your own approach. The point is to build systems that bring God into your everyday life. Keller focuses on exposing religion because it is one of the Church’s biggest problems. Even for people who have once had a genuine heart transformed gospel response to God, they can easily slide into religion because as Luther has argued, religion is the default of the human heart (p64). This default position can cause the Christian heart to be divided between religion and the gospel. Churches must, therefore, always be on the case against religion through prayer, teaching and discipleship. I have found amongst young adult Christians, strong evidence of the religious. For most young adults that I meet and counsel, their motivation for obedience is driven more out of fear of the shame and loneliness that might come from rejection by their community. The problem of course is that the community can quietly shift its own standards. If enough of the young adults from church go out and party and get wasted, then that becomes socially acceptable amongst the church community, so drunkenness comes off the sin list. In the last few decades, there has been a liberalising of the consensus amongst evangelical young adults about what sexual behaviour is acceptable before marriage (see Relevant Magazine and ThinkProgress.) This has resulted in a culture of don’t ask don’t tell. These young adults are religious because they keep coming to church and performing the Christian activities, but they don’t have heart that has been transformed by the grace of God. Their desire to be obedient is ultimately driven by selfish motives. They keep coming to church for lots of complex reasons, one of the main being that their identity has become “Christian” because of family upbringing etc… and they find it hard to let go of that. What they need is to experience gospel renewal: they need their hearts reset by God’s grace. Gospel: The fallen woman (Luke 7) or the immoral Samaritan woman (John 3-4); The demon possessed man (Mark 5). …If you are communicating the gospel message, you must not only help listeners distinguish between obeying God and disobeying him; you must also make clear the distinction between obeying God as a means of self-salvation and obeying God out of gratitude for an accomplished salvation. You will have to distinguish between general, moralistic religion and gospel Christianity. You will always be placing three ways to live before your listeners. “Corporate gospel renewal” is Keller’s phrase for revival, which is “an intensification of the normal operations of the Spirit (conviction of sin, regeneration and sanctification, assurance of grace) through the ordinary means of grace (preaching the Word, prayer, and the sacraments)” (p54.) 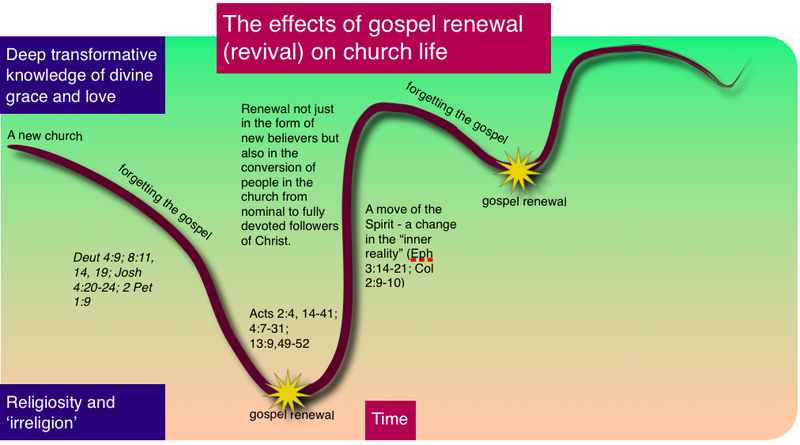 While revival should see the conversion of new believers, one of its main functions is to see the spiritual energising and heart enthusiasm of already existing church communities who had sunk into the apathy and cynicism of religiosity: revival brings the Christian community and its individuals back towards having a deep transformative knowledge of divine grace and love. All churches should desire revival because, in all likeliness, while their members might have once known the gospel, it is quite likely many have also forgotten. This forgetting is not necessarily an intellectual forgetting – although it might be. Rather, in most cases it is a “deep psychological forgetting.” A bible believing Christian might be able to rattle off the doctrines like grace and the atonement, but at the same time be operating in serious modes of self-justification, idolatry or self-loathing. They might be able to articulate their belief in God’s love for humanity, quoting chapter and verse, and at the same time hold on to hatred and un-forgiveness for a Christian brother or sister. The solution to this dilemma is a kind of preaching and teaching that doesn’t simply teach the gospel as doctrine, but as a renewing force that changes lives. Paul says in 1 Corinthians 2:5, that the gospel he preaches is one that is “the power of God.” Churches should expect this power to be at work. Of course to be able to do this, the preacher and teacher needs to deeply know that renewal in their own lives. If you find yourself as a preacher/teacher experiencing “dry toast” faith – then you need to experience gospel renewal yourself. Go on a retreat, fast and pray, see a spiritual adviser, repent of your sins, take a holiday. Keller goes on to discuss the nature of revivals. In my Australian state of Victoria there were several recorded revivals such as: the Warnambool and Portland revival of 1858; the 1861 revival in Daylesford; 1863 revival in Fitzroy; and through the evangelists “California” Taylor and Matthew Burnett, to name a few (for a comprehensive examination of revivals in Australia see Robert Evan’s work. Revivals have happened at different times and places across the world under different conditions. Keller points out, however, that revival often does not occur under the razzle-dazzle spiritual context that one might expect. He points us to the book by Gary Parrett and J.I. Packer who encourage churches to re-embrace and reinvent catechism (catechism is a summary of the major doctrines of faith often used as a curriculum to prepare people for baptism or confirmation. A modern catechism is Alpha). I have become converted to the importance of catechism. After leading a large university and school aged congregation through the 2000s, I have come to see the consequence of not having a structured bible and discipleship curriculum. In response to what I thought they needed, I preached through Bible books and topics, set small group material, and used guest speakers from the local bible college for camps. But at the end of the day, some very smart kids can still have a vague grasp of the gospel. Why? Because if I teach you calculous and you have not yet grasped division and multiplication, then you probably haven’t understood the calculous – all you have had is the sensation of being treated as a serious student of maths. Catechism is the obvious compliment to a responsive teaching curriculum. Catechism should improve your chances at helping your congregation stand strong in the face of the challenges to their identity and the allures of the culture and competing world views. Christians need to learn the Christian faith, with the same pedagogical approaches that they learn to do the three Rs. Keller’s discussion of catechism comes as part of a bigger argument around genuine revival. He warns against the shallow individualistic revivalism in the contemporary church that gets many conversions but fewer long term disciples. But he also warns against a culture of no conversions: having no opportunity for people to respond. The church – especially the non-charismatic church – needs reminding that “gospel renewal focuses on the heart.” As Romans 10:9 says, you need to believe in your heart as well as confess with your mouth that Jesus is Lord. By “heart,” Paul (and Keller) mean not just our emotions but that deep place within us that drives our decisions, our longings and convictions. The act of calling Christians to revival is consistent with the Bible; Jeremiah called the circumcised Israelites to “circumcise your hearts” (Jer 4:4; 31:33), Paul contrasts the outward and inward life of the believer and required that disciples have hearts that are circumcised by the Spirit (Rom 2:28-29 see also Phil 3:3 and Jesus’ words in John 3:7). A heart response is required for genuine repentance to take place. This kind of heart faith is required for all believers new converts and old. What Keller ultimately wants is “balanced revivalism – a commitment to corporate and individual renewal through the ordinary means of grace – [this] is the work of the church.” And it is crucial because of the unfortunate reality that “it is possible (even common) for a person to be baptized, to be an active member of the chruch, to subscribe to all biblical doctrines, and to live according to biblical ethics, but nonetheless to be wholly unconverted.” (p.60). Below is some reading I’ve been doing. Each title links to some good quotes that I’ve been gathering. David J. Bosch, Transforming Mission: Paradigm Shifts in Theology of Mission (first published 1991 [2012 reprint]). Charles Taylor, A Secular Age (2007). Thom Rainer and Eric Geiger, Simple Church, (2011). Peter Scazzero, Emotionally Healthy Spirituality (2006). 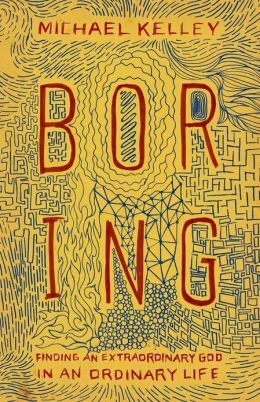 Michael Kelley, Boring: Finding an Extraordinary God in an Ordinary Life (2013). D M Lloyd-Jones, The Christian Warfare: An Exposition of Ephesians 6:10-13 (1976). David Murray, How Sermons Work (2011). says that the best is the enemy of the good. In the same way that people can become depressed about the humdrum of a good but normal life, so too can artists be easily dissatisfied with their good work, holding out hope that they might be capable of something greater. The pursuit of perfection, for example, can cripple the writer such that they never publish. Settling with the ‘good’ version of the manuscript would have meant something for the world to experience. But for the unrealistic perfectionist, the draft remains in the top drawer, the film an unfinished edit, and the album a demo. The Breaking Bad writers polished and polished but to a deadline, and then finally pressed [send] with attachment in time for production. Pursuing perfection is important for any artist: Voltaire was not advocating mediocrity. But the artist who never says, “this will do,” will only ever have unfulfilled potential. What is true for life and art, is also true for leadership. An important lesson I have learned as a church leader who has tried to be entrepreneurial is that while my new ideas might be ambitious and seem ‘perfect’ (in my own head), to make them a reality, I must aim for a ‘good’ rather than ‘perfect’ implementation. Am I setting a low bar for myself? Au contraire, the bar is still high. I am simply ensuring that I actually make a jump for the bar – even if I mess it up. My logic goes: I am limited in my leadership capacity; my team is limited; the strategy needs more refining; I don’t have all the capital or resources I need; and I usually run out of time. Actually, limited time is as much self-imposed as it is forced on me. My personality is such that unless there is a deadline, I won’t get it done. With my music recording projects, we set the album launch date, then work backwards with the recording timeline. It may not end up perfect, but at least we are not still sitting around waffling about the idea of recording an album. Similarly in my doctoral research, my supervisor always pushed me to just submit something every month – even if it was unfinished and a bit of a mess – the act of forcing something on to the page was an important step in the process. My motivation to operate this way is also theological. Paul writes in Philippians 4, “Rejoice in the Lord always. I will say it again: Rejoice…Do not be anxious about anything….I know what it is to be in need, and I know what it is to have plenty. I have learned the secret of being content in any and every situation, whether well fed or hungry, whether living in plenty or in want. I can do all things through him who gives me strength.” These words from Paul reveal his response as a devoted disciple of Christ to his unpredictable living conditions as a traveling missionary Apostle. They also reveal a basic principle of Paul’s approach to leadership – I seek to be at peace with God no matter what happens in my life. I don’t need to feel anxious. I rejoice in the Lord because of what He has given me. Even when I suffer or go without (or try something and it fails) I rejoice because I know that God loves me as his child. If one should learn to be content in God in their personal life then so should they be in their ministry life. In fact, the wisdom of Voltaire and Paul applies well to ministry leadership. ‘The perfect is the enemy of the good’ should be a golden rule for those who have an unrealistically high expectation of their own ability, or a sense of entitlement or fantasy view of their own capacity. Or, in the other extreme, it should become the mantra for those who carry a deep-seeded fear of failure. Many pastors feel quietly ashamed at their lack of success: “why is my church not as big as his?” This lack of contentment in the good that God has given them makes them insecure. And thus, as they forever pursue a more idealistic outcome, they struggle to achieve anything at all. The Nirvana Fallacy creeps into church leadership all the time: trying to preach the ‘perfect’ sermon every week by spending three or four days preparing and still making edits minutes before the service which means you never get to do a read-through; not appointing a staff member because you won’t settle until you have a saint like Dietrich Bohoeffer or Mother Theresa; having Sagrada Familia as your standard for church architecture; closing a ministry because you don’t see thousands of conversions; or remaining unemployed because you haven’t found the dream position. So how can a church leader respond and apply the proverb to their leadership? Church strategy reductionism is where simplistic ministry strategies are formed based on a mechanical understanding of church systems. System theorists love to use the imagery of organisational ‘bikes’ and ‘frogs’. A bike can easily be broken down into its individual parts and put back together again. But when you take an individual part away from the bike it stops working. A frog is a highly complex and comparatively robust system that cannot be taken apart and put back together again, but when you remove one of its limbs, the system is sophisticated such that it usually can adapt. Frogs can grow substitute limb stumps surrounded by skin, or in some cases a fully regenerated limb. Understanding and manipulating a complex frog like system requires a combination of smarts and informed intuition. Most complex organisations, like churches, where human interaction and psychology play a major role in the system, are mostly frog but also include some functions and processes that are bike. The frog systems in a church include functions and operations such as mission, discipleship, community, pastoral care, and worship. Ministries, and the people that they include, interact and respond to each other in an organic way. When you factor in the mysterious work of the Spirit who “blows where it pleases” (John 3:8), then the systematic complexity multiplies. If church leaders don’t grasp this complexity, simplistic and ineffective strategies follow. 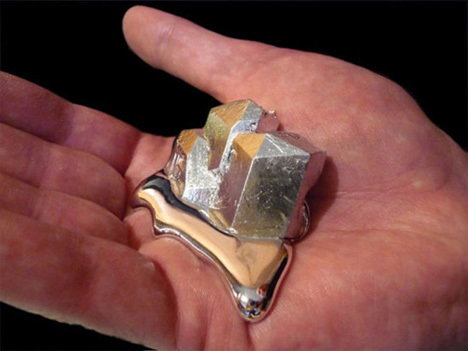 For the sake of clarity, it is worth mentioning that a ‘simplistic’ strategy is not the same as a ‘simple’ strategy. Simple strategies are ideal because they are easy to communicate and implement. However, one must be aware that while they are simple, they exist within a complex frog system. A simplistic strategy, on the other hand, is designed with the naive understanding that it is part of a mechanical bike system. …ideologically and myopically aligned to a particular model of church. 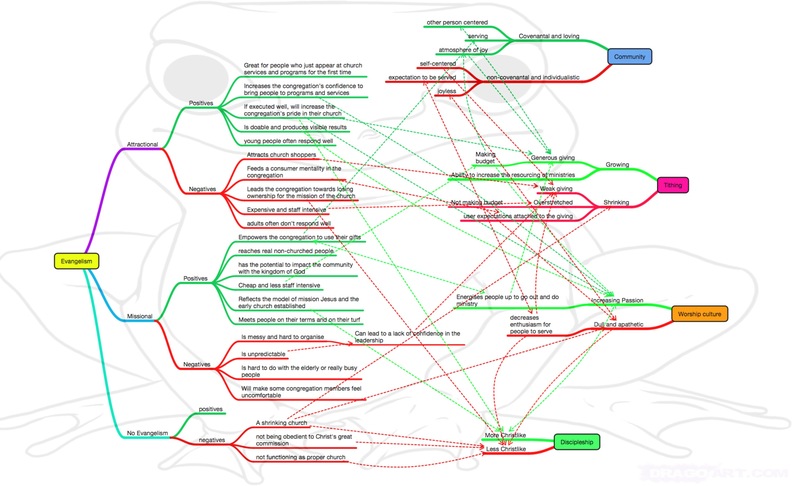 These are models which are not necessarily based on reductionistic logic, but through mis-application and selective overemphasis, reductionism follows: leaders latch on to features of their favorite model, and push them too far. …non-consultative, domineering, alpha-male/female, or arrogant. These leaders, who are often proud and aggressive, push past any kind of process like a ‘bull in a china shop’ thinking that they’re being decisive. While they do make decisions, they leave a trail of destruction behind them not having considered consequences. …poorly self-differentiated / low emotional intelligence. These leaders might come up with ideas, but they are too insecure to open their strategic thinking up to consultation. Also, they can find it difficult to be empathetic and consider how a strategy might work for people not like them. Part of understanding the frog system is being able to calculate how different ages, genders and cultures will respond in a given situation. …quick decision makers who don’t take the time to think through consequence. While some leaders are brilliant intuitive strategic thinkers who can just envision the plan out of the ether, most cannot do this and need time to experiment and consult as they understand the church frog system. …inexperienced. Sometimes inexperienced leaders are savvy enough to see the frog, but usually this comes with time. …very experienced but assume church systems work the same way in every context. The risk with older and experienced leaders is that if they have had some success in ministry in their earlier years, they can be convinced that the strategies that gave them that success still apply 20 or 30 years later. While a bike might always be essentially a bike, frogs adapt over time to fit in with their changing ecosystem. When you think about it, many churches have leaders who fall into one or more of these categories. The great thing is that by the grace of God, their simplistic strategies are still used and bear some fruit. However, if they were able to start to see their church as more of a frog, and develop some sophistication in their understanding then their ministry and church would run more efficiently, smoothly, and effectively. However, if you listen to people’s testimonies about coming to faith, you’ll discover that their stories are complex and unpredictable: rarely do their experiences conform to simple rules. One individual might have interactions with twenty different Christians, and three different churches, and then respond to an alter call at a rally. Another person living in a Muslim country might have a dream about Jesus, and then go seeking out a church. While another person might experience miraculous healing from prayer and come to faith that way. My point is, the ‘system’ whereby a person is evangelised, cannot be reduced to bike logic – it is far better to see the frog in the system that is evangelism. Church strategy reductionism that dismisses all attractional evangelism fails to accept (what was the elephant in the room for the emerging church movement) that there are many attractional strategies that are effective. In children’s ministry, for example, playgroups, Mainly Music, and Messy Church are attractional strategies that – depending on their good implementation – have great success in bringing non-Christian people in contact with churches and on the journey towards faith in Christ. In addition, there are great benefits to attractional evangelism: it can visibly communicate to the congregation a value of excellence, the idea that serving God is important, and that this church expects the Holy Spirit to be guiding people towards us because we are a “light to the nations” (missional activities can achieve all of this too but not as easily). It’s not that the critique about attractional strategies is completely unfounded. It is important for churches not to over-rely on being attractional lest they become a church that mainly “preaches to the choir.” The problem is the simplistic strategy that followed. The following are some examples of reductionistic ministry logic leading to simplistic strategies. These are functions of the church which should be thought of as complex ‘frog’ systems, but are often given a mechanical ‘bike’ logic. Remember that each reductionistic logic statement will have some truth to it and that the simplistic strategy might also have some merit. Reductionistic logic: It’s the ‘priesthood of all believers’ so we should resist putting leaders on a pedestal. Simplistic strategy: Let’s have no one main leader, but share the leadership. Reductionistic logic: Spiritual intensity in music is directly related to time. Because churches are frogs, there can be a problem that decision making becomes stifled by those people who always see alternatives and risks or problems with your strategy. You don’t want to never be able to make a decision. You will know of people whose default mode is to confidently disagree with any idea anyone suggests. Those are the people who will be reading this post right now, and saying to themselves, “yeah but…” If this is you, then stop, take a breath, and work out how to make the idea work rather than being an unhelpful blocker of creative thinking. You can still offer your thoughts but do it in a generous and encouraging way, and let others have their say.